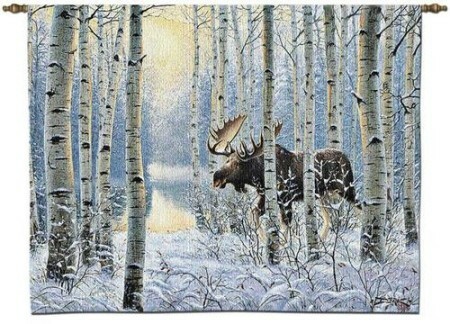 A staunch brown moose moves slowly through the birch forest. Newly fallen snow blankets the forest floor. 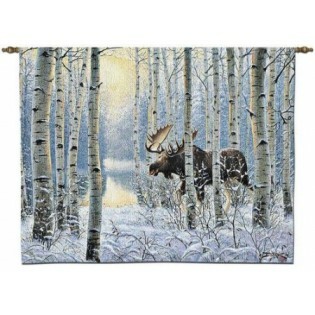 This Moose On the Move Wall Hanging would be great addition to your rustic home.